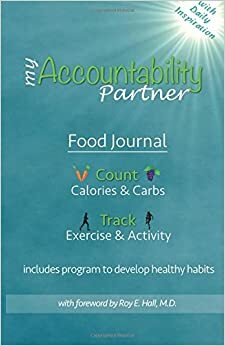 This is the food journal you have been waiting for! My Accountability Partner is like having a personal coach with you every day, keeping you on track to reach your health goals. It has everything! Daily inspirational thoughtsA health program that kick-starts each week by focusing on a new health goalA snack guide filled with low calorie and low carb foods for easy referenceWeekly tips to remind you how important it is to follow through on your health commitmentsDaily encouragement tailored to your moodEntry pages to track your calories, carbs, exercise, sleep, and water intake every day. Extra space is included for notesChange is hard. Let My Accountability Partner assist in the journey to a healthier you!